These heavy-gauge aluminum carts come completely assembled with low-friction ball bearing wheels and space to carry five ordinary bricks. Each cart is supplied with one heavy and one light bumper spring. These are easily changed without the use of any tools. A loop spring is also included. 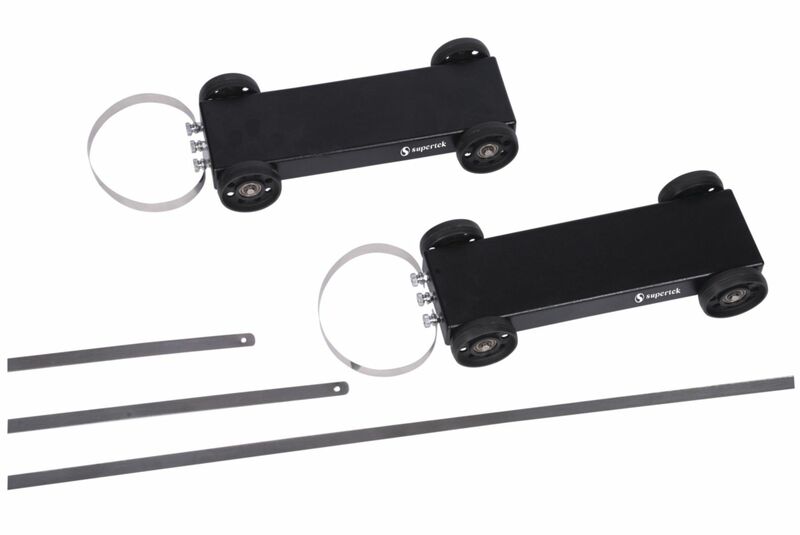 Each cart measures 7.6 cm x 25 cm, exclusive of wheels and bumper springs. Set of two.